Hello and thanks for stopping by GarterSnakes.com! We are your number one resource for garter snake care. 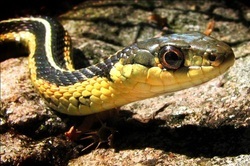 We have lots of information regarding garter snake care, garter snake facts, what to feed garter snakes, garter snake habitat, types of garter snakes, how to breed garter snakes, and garter snake diseases and treatments. We are adding a forum to our site very soon to discuss all things garter snakes! Check back often for updates and we hope this site provides useful information for you!